Lieutenant-Colonel Farzand-i-Khas-i-Daulat-i-Inglishia, Shrimant Maharaja Fatehsinghrao Prataprao Gaekwad, Sena Khas Khel Shamsher Bahadur, Maharaja of Baroda (2 April 1930, Baroda – 1 February 1988, Bombay) was an Indian politician, cricketer, and titular Maharaja of Baroda belonging to the Gaekwad dynasty of the Marathas. Fatehsinghrao Gaekwad was born to Pratap Singh Gaekwad, the last ruling Maharaja of Baroda and his first wife, Maharani Shantadevi Sahib Gaekwad (1914–2002). 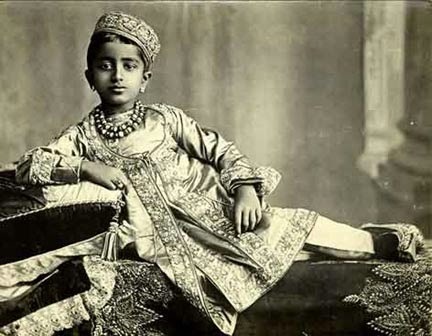 He succeeded as titular Maharaja of Baroda in 1951 when his father was deposed by the Government of India. He served in public office as a Member of Parliament, Parliamentary Secretary of the Defense Ministry, MLA in Gujarat, Minister of Health, Fisheries and Jails, Chancellor of the Maharaja Sayajirao University in Baroda, and Chairman of the Board of Governors, National Institute of Sports in 1962-63. 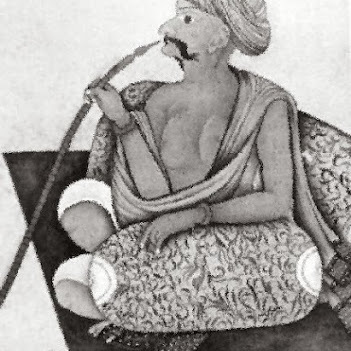 He was also the author of the book The Palaces of India (1980). As a cricketer, Gaekwad represented Baroda in the Ranji Trophy between 1946 and 1958 and had a highest score of 99 in his first season. He was an attacking right-handed batsman. He played against the touring teams on various occasions between 1948 and 1954. He was an expert cricket commentator in radio and was made an honorary life member by the MCC. Gaekwad was the President of the Board of Control for Cricket in India from 1963 to 1966, after serving as Vice-President from 1959 to 1960 and again in 1962-63. He was the manager of the Baroda Cricket Association from 1960. Known in England as “Jackie Baroda”, he managed the Indian tour of England in 1959 and of Pakistan in 1978-79 and 1982-83. He died in the Breach Candy Hospital in Bombay on 1 September 1988 at the age of fifty-eight, to be succeeded as titular Maharaja of Baroda by his younger brother, Ranjitsinhrao Gaekwad.